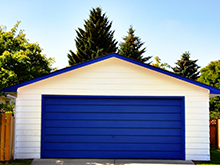 Nowadays, almost every garage has automated garage doors. Manually operated doors are almost becoming extinct in the Philadelphia, PA area. These doors can be controlled by a remote, motion-sensors and other high-end technology. They are durable, quite powerful and make less noise than traditional garage doors. Even though these doors are backed by robust technology, they are prone to damage and failure from time to time. You can call Metro Garage Door Service any time to replace or fix your garage door openers. 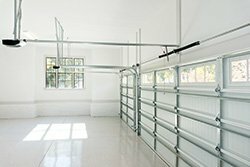 We provide affordable options for a wide range of garage door openers that fit the needs of our commercial as well as residential clients. These openers are designed to handle different power specifications, various door weights, and sizes and last for years. If you choose us, you can be confident that along with high-quality and durability, you will spend very less on maintenance as we only install products from the best international brands. If you want to integrate your garage door openers with your home automation systems or want keyless entry systems, just call us. Our team of highly talented individuals, who have advanced degrees in the field of engineering can easily handle such integration. Based on your needs we can install any kind of opener and if you want multiple remotes for your garage door, we can also provide that. Choose from a wide range of garage door openers, get in touch with us and we will install it at the location of your choice. Along with that we also provide periodic maintenance at cost-effective prices, so that openers have a long life. Call us today and we will help you out and answer all your questions if you have any. Once you choose an appropriate garage door opener, Metro Garage Door Service’s team will get it installed and follow it up with a comprehensive safety check to ensure everything is in perfect working order. Our job doesn’t end after an installation, as we regularly check in to determine the operational efficiency of the system.